Although it has announced new controls, it is unclear what direction Chinese authorities will take with the virtual currency. Bitcoin (or bi te bi in Chinese), although its ability to grab headlines seems to rise and fall as much as its value, continues to fascinate many observers, especially with regard to China. When it comes to the virtual currency, China’s authorities seem to be as confused and unsure as their counterparts across the world. Governments like to be able to control the issuance of their own currency (with currency unions such as the Eurozone being the exception) or at least have the option to do so should it become necessary (as is the case for countries who manage a peg to another currency). They also like to impose sovereign authority over what their currency can be used for within their own territory. The reactions of various national governments to Bitcoin – and the multitude of other virtual currencies now popping up – will go a long way towards determining whether they are indeed a “passing fad”, a replacement for “central bank-issued currencies,” or just a complement for traditional currencies. In China, Bitcoin has had a late but spectacular arrival. It is clear that the various financial authorities are still deciding how to handle it, for in China, it is a bit more complicated than elsewhere. The reason…debate about the Bitcoin’s effect on China’s capital controls. The People’s Bank of China (PBOC) on Thursday highlighted several risks with Bitcoin in a statement (Chinese here) and in an unusual Q&A post (Chinese here) on its website. Not surprisingly, none of these referred to the capital control issue (more later). Instead, China branded Bitcoins as a virtual product, not a virtual currency, and then banned financial institutions in the country from doing Bitcoin business. 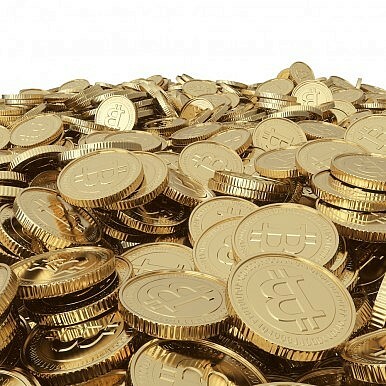 The notice (which was jointly given by the PBOC as well as the Ministry of Industry and Information Technology (MIIT); the China Banking Regulatory Commission (CBRC); the China Securities Regulatory Commission (CSRC); and the China Insurance Regulatory Commission (CIRC)) points out that Bitcoin (may) facilitate money laundering, can be used by criminal or terrorist organizations, and is a risky investment due to the dynamics of its speculative market. So are China’s authorities (and especially the PBOC) currently worried about any damage the growth of Bitcoin could do to China’s capital controls? Probably not. For one thing, while it seems unlikely that China is about to completely dismantle its capital control system, the PBOC almost certainly does have plans to reduce and relax it further. Moreover, even given the massive interest in Bitcoin in China, the virtual currency is simply not big enough to really threaten China’s capital control system (there are still only just over 12 million in circulation). In this case, the Chinese authorities are more likely genuinely concerned about the risks to investors and the potential for Bitcoin to be used for illegal activity. These concerns are not new, nor are they limited to China. On a more serious note, it is not clear which direction the Chinese authorities are ultimately going to go with regard to regulating Bitcoin, controlling it, mostly ignoring it, or banning it. Like everyone else, they are trying to keep up with the twists and turns in the development and trading of the various virtual “currencies,” and like everyone else, they are deciding on policy as they go along. Capital controls do add an extra element to Bitcoin trading in China due to the knock-on effects of having different offshore and onshore USD-Bitcoin exchange rates. However, Bitcoin trading is a long way from threatening the capital control system itself. This latest move banning financial institutions from doing business in Bitcoin has further reduced the possibility that the virtual currency could one day become a significant factor affecting China’s monetary situation. For private and individual investors though, the rollercoaster continues. The PBOC's move on Bitcoin does not bar consumers or private business from using the currency.